Contact us if you are looking for a Video not listed here. *All videos are subject to availability from the distributer. and some Videos also have accompanying books. These Books are also listed here. Nearly All VHS Videos On Sale 30% Off ! 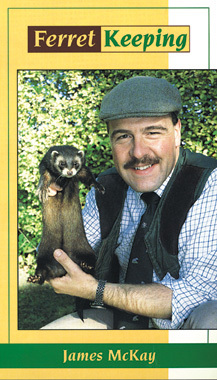 James Mackay explains all you ever wanted to know about ferret keeping and breeding. He discusses their suitability as pets, and shows how to choose a ferret, then goes on to demonstrate handling and taming, housing (outdoors and indoors), feeding and keeping them in good health. He shows how to select stock for breeding, how to care for the pregnant ferret and talks us through footage of the birth of the kits. Using laboratory specimens Roger Blowey shows the anatomy of cattle feet and what happens when the hoof overgrows. He next visits a dairy farm to demonstrate hoof trimming to a novice dairy farmer who then has a chance to practice for herself. 55 Minutes. This video focuses on the management of breeding for the domestic goatkeeper. It covers mating, pregnancy and kidding. An assisted birth of triplets and an unassisted birth of twins are captured in full detail. Hilary Matthews demonstrates the techniques that she has successfully used for many years to control the breeding cycle, detect pregnancy accuraltely and keep a healthy breeding goat herd. Ailments to which the newly kidded doe and kids are particularly susceptible are illustrated, with guidelines for when the goatkeeper can administer medication and when it is time to call in the vet. 60 Minutes. Beginners and experts alike will benefit from seeing good health and husbandry practices in action. Hilary Matthews, a well-respected breeder of Saanens, shares her experience of keeping goats, showing approaches to husbandy and health care with emphasis on what to consider when buying a goat, housing, maintenance, mating and milking. A wide variety of breeds, including Angoras, Anglo-Nubians and Toggenburgs, are seen in England, and Pygmy and Boer goats are shown in the U.S.. Health care procedures are performed and explained by John Matthews, a veterinary surgeon with widespread experience in treating goats. 48 Minutes. 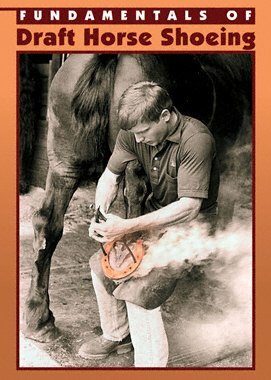 Learning the half-halt: Demonstrates the four requirements: forward, straight, rhythm and contact. Then the half-halt is broken down into its individual elements and shows the rider how and why to use it. It also shows common mistakes & how to correct them. In this second video it discusses when to use the half-halt aid. Describes when to put the horse on a bit. Also explains how a rider can superimpose a half halt over the aids given for different movements in order to keep the horse on the bit. 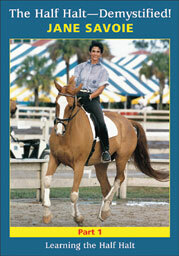 Mary starts by introducing us to the basic anatomy of the horse in order to appreciate the main areas for massage. 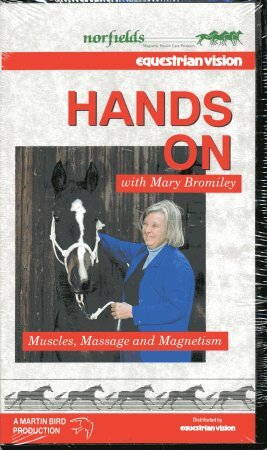 She then moves on to describe magnetism, a therapy complentary to massage & follows this by a look at the basic masssage strokes & their effects on the horse. The application of the strokes is clearly shown, first as individual techniques & then as a combination during a conditioning massage. The program ends with a demonstartions of passive stretches designed to improve the suppleness of the moving parts. 60 Minutes. This video is your guide to enjoying all 15 species north of the Rio Grande. 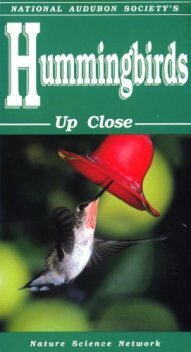 You'll see male hummingbirds in dazzling courtship flight, females tending their delicate nests and slow motion sequences of the tiny birds catching insects in mid-air. 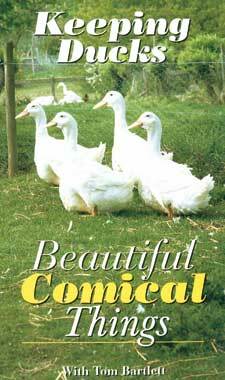 Best of all, it shows you how to bring these exciting birds to your home with flowers and feeders. 55 min. Complete video guide to care & breeding. By the author of "Veterinary Book for Sheep Farmers", this video illustrates the techniques that can be used by shepherds to reduce losses from hypothermia and infection. Methods illustrated include intraperitoneal injection of glucose, the use of warming boxes, colostrum, the stomach tube and fostering. 84 Minutes. 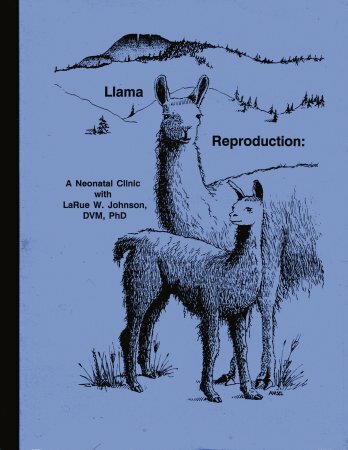 - This program is a videotape of Dr. Johnson's clinic in 1988 at the LANA conference in Redmond, Oregon, augumented with live video footage (including several llama births) illustrating Dr. Johnson's points. Total running time is three & one half hours, in two parts. - The booklet includes a detailed Table Of Contents to the program for quick reference along with answers to questions, charts, graphs & illustrations. 70 pgs. A breathtaking adventure beneath the ocean, explore undersea paradise. Rescue of orphan animals in the Tsavo National Park in Kenya, Africa. A beginner's guide to poultry health and management. Victoria Roberts illustrates the various points to consider when choosing a breed, then goes on to discuss housing, handling, feeding and general care, using over 50 pure breeds. 77 Minutes. Martha Josey is the lady and legendary rider who turned barrel racing into the art it is today. Martha continues to rodeo and win, while holding successful barrel racing clinics each year with 3-time wold champion calf roper and husband, R.E. Josey. The Josey style and winning ways have greatly influenced the fast pace in today's competition arena. A combination of top equipment, horsemanship and that Josey "winning attitude" is what makes barrel racers look to the Josey's for leadership year after year. 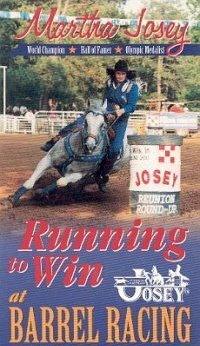 This tape demonstrates that Josey attitude, discusses various equipment, basic horsemanship and common problems experienced by barrel racers. Filmed at the Josey Ranch outside Marshall, Texas. Also available as a magazine. 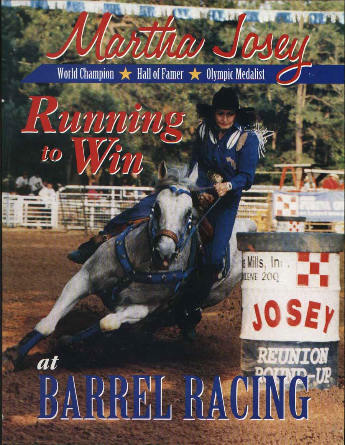 Martha Josey is the lady and legendary rider who turned barrel racing into the art it is today. Martha continues to rodeo and win, while holding successful barrel racing clinics each year with 3-time wold champion calf roper and husband, R.E. Josey. The Josey style and winning ways have greatly influenced the fast pace in today's competition arena. A combination of top equipment, horsemanship and that Josey "winning attitude" is what makes barrel racers look to the Josey's for leadership year after year. 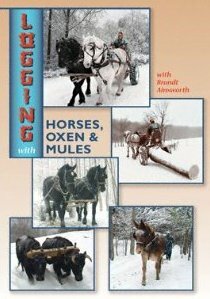 This magazine demonstrates that Josey attitude, discusses various equipment, basic horsemanship and common problems experienced by barrel racers. Boas, pythons, king & rat snakes & more. Cages, habitat, diet, health, heating. This great video is produced in Western Canada. 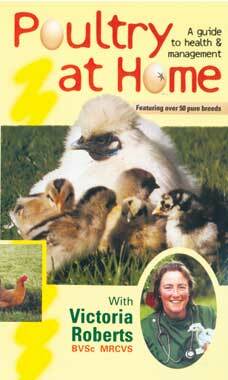 This is the first all round Border Collie training video showing young dogs starting on steers, cows, sheep & yes ducks. It leaves no one out! Covers all the basic commands as this 90 minute video shows five young dogs as they progress through their early months & on through a sound training program. 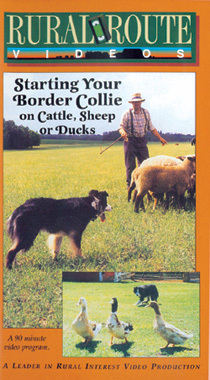 Review in Working Border Collie magazine, " Best video ever produced on raising & starting Border Collies."